The 18th Falkon took place this year. It belongs to the biggest conventions in Poland and although it cannot be compared with Pyrkon, it is still huge. Unfortunately, almost every year I am at Falkon, there are some issues. Still, I really like this convention and I am always eager to visit Lublin in November. Imladris has a special place in my heart. 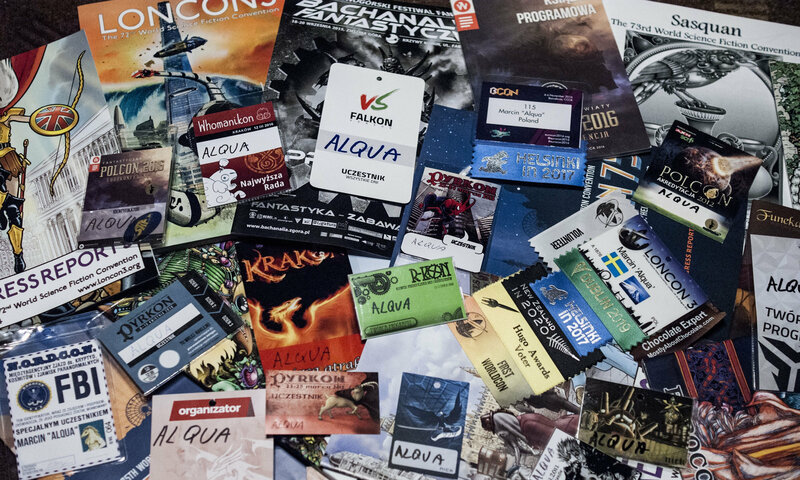 It was not the first convention I was a member of (this title belongs to DOJIcon 2), but it was the first SF convention I had the pleasure to attend. A few years ago I was very disappointed to learn that the con would be discontinued. To my delight, the convention was revived in 2013 after several years on hiatus. I suppose it is not a big surprise that I’ve been doing my best to visit Imladris every year since then. This year was no exception.